Adam West is a true American icon. From his humble beginning on a wheat ranch in Walla Walla, Washington, Adam skyrocketed to fame in Hollywood, pursuing an extraordinary career in entertainment that has spanned half a century. His role as Batman in the classic television series and feature of the same name continues to be seen throughout the world more than 40 years after its debut. While Batman, and his alter ego, Bruce Wayne, remains his signature role, Adam has a multitude of motion picture, theater, and TV credits to his name. He has made nearly 50 movies, including starring or co-starring roles in Drop Dead Gorgeous, The New Age, The Young Philadelphians, An American Vampire Story, Soldier in the Rain, Robinson Crusoe on Mars, and Nevada Smith. He has had starring roles in several TV series other than Batman, including The Detectives, The Last Precinct, and The Clinic. His theater credits include Volpone at the Mark Taper Forum at the Los Angeles Music Center. Adam West is the author of two books, Back to the Batcave and Climbing the Walls. He lends his support to numerous charities and won $250,000 on Who Wants to Be a Millionaire, on behalf of an organization supporting underprivileged women and children in Idaho. Adam splits his time between homes in Palm Springs, California, and Ketchum, Idaho. 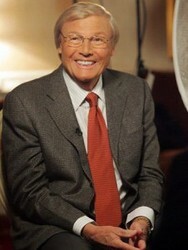 More than 50 years after starting his career in Hollywood, Adam West continues to work consistently in TV and film. His most recent work includes a guest starring role on the hit series 30 Rock and a viral video for Funny or Die. His undeniable talent and unique brand of humor have become truly iconic in entertainment and he continues to entertain fans around the world.